Essentially a three-door Evoque without a roof, the cabriolet concept is polarizing opinion. So, do you love it or hate it? 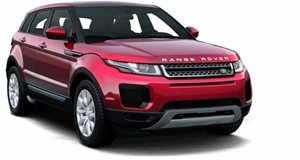 Since its debut back in 2010, the Range Rover Evoque has picked up plenty of new Land Rover fans, with around 80 percent of Evoque customers reportedly being buyers new to the marque. Following the lead of Nissan&apos;s convertible Murano in the U.S., Range Rover are testing the water with their convertible Evoque concept, which is nothing more than a three-door variant with a fully retractable roof and comfortable seating for four. The standard Evoque&apos;s sleek roofline is one of the luxury SUV&apos;s most desirable design elements, so it would be interesting to see how the cabriolet would look with its folding soft top on. Not everyone will agree with Land Rover design director Gerry McGovern, who said: "We believe that the Evoque lends itself beautifully to the idea of a convertible." But then again, as niche products in luxury automotive segments have proven in recent years, not everyone has to.